The world around us is rapidly changing, and in reality, businesses that don't adapt won’t survive. 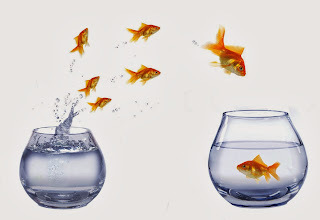 One common response to the frenetic pace of change is for organizations to hire New Leaders from the outside, expecting them to make massive alterations to their teams, operations, and organizational outcomes. Sometimes these organizations provide New Leaders with specific expectations around change. But often, New Leaders are given a vague order to "make things better” – as soon as possible. And an often troubling onboarding paradox may take place: organizations desire to see different results, but tend to resist the changes needed to drive desired outcomes. So a balance needs to be found. But how? New Leaders often encounter a dilemma while initiating change in an organization. On one hand, taking too long to introduce new initiatives can pull New Leaders into a limbo state where opportunities are missed and people lose patience. On the other hand, doing too much too soon can alienate others in the organization, and negatively impact relationships and New Leader reputation. Many New Leaders are so intent on taking rapid action that they misunderstand the business culture, skip the learning curve, and forget to invite others into the process. Such missteps can lead to derailment, which can be costly to an organization and its New Leaders. Ideally, New Leaders should hold off on introducing major change until they have observed a significant period of due diligence – commonly 90 days in role. The key focus of the first 2 - 3 months should be sizing up their operation, learning about people, processes, customers, and best practices. Before taking action on findings, New Leaders should first tee up their proposed changes with Hiring Managers, who can then gauge the appropriateness of such efforts and provide needed support. New Leaders need to remember that changes can be scary. Even though many in the organization may agree that improvements are needed, for some the word “change” implies that something is wrong, and that the current processes are broken. This realization can make people who have authored and maintained existing practices feel defensive. They may react negatively because they assume they don't have the freedom to express their feelings about pending changes, or they cannot foresee the long-term value of proposed changes. During times of restructuring, those closest to New Leaders are their team members (direct reports). The impact of change on their roles and accountabilities can be significant. New Leaders need to remember to include their teams in all aspects of operational adjustments. Successful Leaders know how to inspire their team members to step up and participate when changes are taking place. This involvement promotes mutual ownership of deliverables and the eventual outcomes. Motivate their team by explaining the long-term vision in ways that help them see the positive end results. Gain the team’s perspective on what's working in the organization, and what they think can be improved. Ask the team about the corporate culture, how things get done, and who to consult during a time of change. Get advice from the team on how to most effectively identify and introduce new practices and procedures. Involve the team in the roll-out, giving them significant visibility and support. If encouraged to act as key contributors to this process, team members have the opportunity to shine and be recognized for their efforts. Importantly, New Leaders can use the suggestions listed above as a way to demonstrate respect for their team members’ knowledge and experience. Also key to this entire process is transparency. Being open with the team and sharing information about the organization’s direction and business challenges fosters confidence and increases trust. How can New Leaders enhance a climate of trust and action in the face of change? Communicate about initiatives with the team, and explain how they can deliver on these new objectives. Provide continuous guidance to the team, and keep them apprised of organizational context, as well as the condition of the external business climate. Make sure that the team has the right tools and resources to accomplish their goals. Work with peers and other stakeholders to remove organizational barriers. Recognize the team's work, celebrate milestones and major achievements. Team member contributions are vital to any change initiative. New Leaders should keep in mind that their campaign for improvements will need support from multiple areas – and not just from their immediate team. They should develop relationships across the organization, and initiate conversations that encourage positive attitudes and beliefs about the transformations they see as needed. To do this, it is important to identify individuals who are vital to the success of targeted change efforts. This should include key stakeholders and informal opinion leaders from different levels of the organization. With backing from their teams and individuals throughout the organization, New Leaders can build the case for needed change, and reassure those impacted that the end-result will be worth the effort. Posted in Advice for New Leaders, Driving New Leader Alignment, How to Truly Understand Your New Role and Operation, Managing New Team.